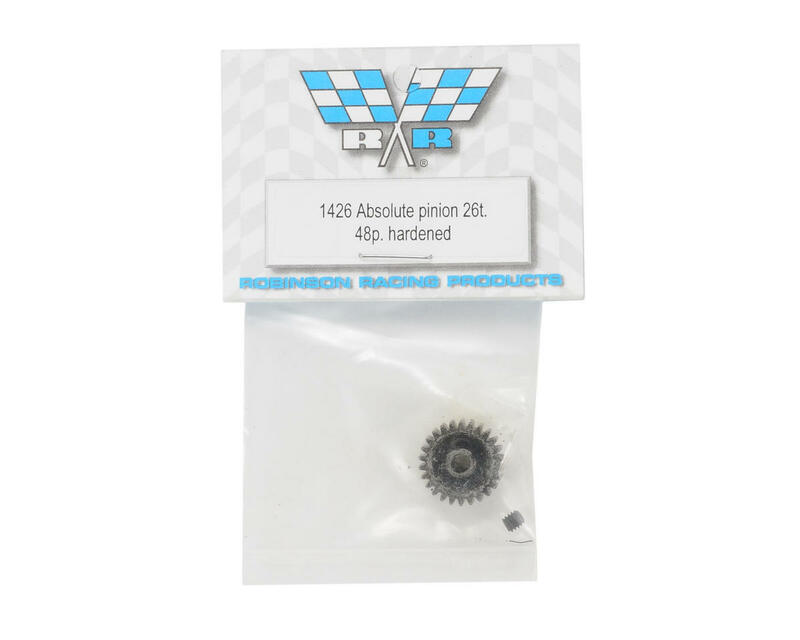 Super hard, heat treated, "Absolute" pinion gears are a must for using with steel spur gears, and will last and last if used with plastic spur gears. Available in sizes 9 through 23 teeth. All pinions stamped with tooth number. 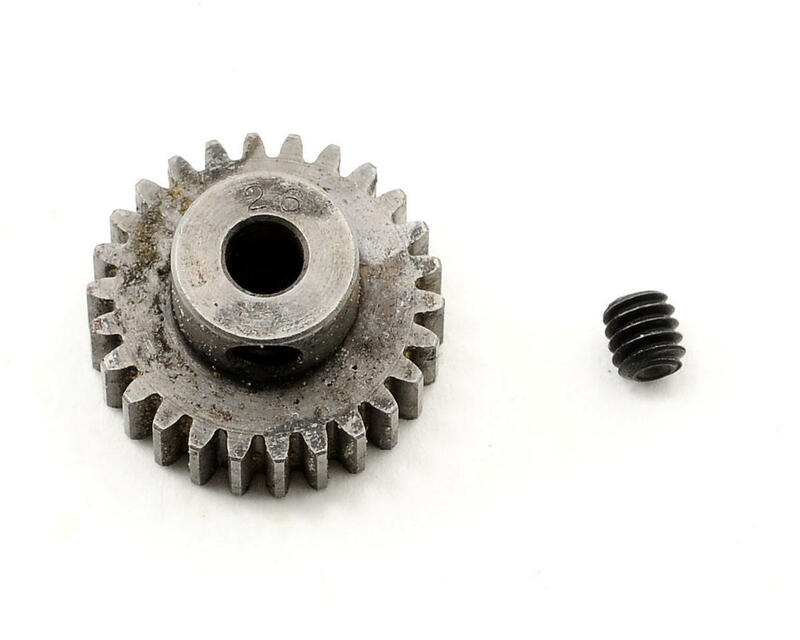 3.17mm (1/8") bore. One 5-40 set screw included.